MENTit is a platform designed to help individuals and organizations accelerating their success. Using the platform mentors and mentees can connect with each other online (virtually), or in-person and can give and obtain advice, consultancy, coaching, guidance and any other support. The platform is useful for aspired individuals, and progressive organizations, educational, business or non-business, who want to achieve success in their respective endeavours. 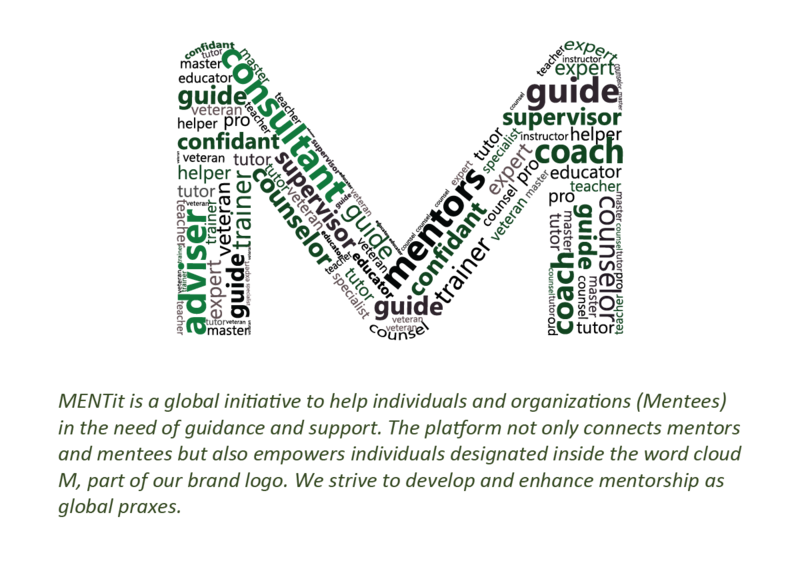 MENTit facilitates mentoring, consulting, advising, counselling, coaching and all kind of similar support. Therefore, what MENTit offers is beyond just connecting Mentors and Mentees. High-quality, result oriented programs and courses will be offered for the benefit of Mentors and Mentees by experts in mentorship to help mentors and mentees hone their skills further because learning is a continuous process. Our thoughtful blogs act like valuable resources related to mentoring. To be regarded as a credible and high-quality companion to ambitious and aspiring individuals and organizations worldwide. Our mission is to help individuals and organizations accelerating their desired results and success: Our Solution is designed not only for individuals – mentors and mentees but also for progressive organizations like educational, business and non-business organizations who are committed to achieving success in their respective endeavours. accelerating their desired results and success by providing a suitable, world-class platform, resources and facilities in such a manner that it facilitates individuals and organizations who desire to help others and supports those who seek such help in an organized, scientific, and well-designed manner. By providing a suitable, world-class platform, resources and facilities in such a manner that it facilitates individuals and organizations who desire to help others and supports those who seek such help: MENTit has developed a well-designed platform where Mentors can register and offer their support to Mentees. Mentees can select suitable mentors to obtain the support they need virtually or in-person. Mentees can also post their mentoring needs and accept selected offers of support from the Mentors. In addition, MENTit is offering courses and programs for Mentors and Mentees which will help them in continuous learning and development of their knowledge and skills. Resources like blogs will help individuals to not only learn from the thoughtful articles related to mentoring written by experts but it will also help mentors and mentees registered with MENTit to share their learning with others by writing blogs and publishing them directly from their dashboards. In an organized, scientific, and well-designed manner: We not only select and approve good quality and reliable mentors, but also the design of mentoring process is very thoughtful. During the first meeting, Mentors and Mentees can discuss the mentoring needs in detail and decide to create milestones together. Mentees provide the regular feedback to mentors and mentors write regular progress reports for Mentees which are shared with other after each milestone simultaneously. In addition, mentees can review the support of mentors and provide a rating to them. Payments done by Mentees are safe and reliable which are released after proper validation of the mentoring results. Mentors also learn from this process by writing a reflective review for their own record that can help them to be a better mentor in the future. Mentors and Mentees can switch their roles by registering themselves as both – mentor and mentee at the same time. While inculcating and promoting respect and commitment for all stakeholders: The mentoring process designed by MENTit ensures respect, privacy and commitment of all the stakeholders. These are ensured by mandatory activities during and after completion of milestones of mentoring. Our stakeholders are also the investors, promoters, and MENTit ambassadors. MENTit designs and implements programs and schemes to ensure providing mutual financial and non-financial rewards to all the participants and members of the MENTit family.